Jan Cox Prints. The drawings featured in the Continuum show are available as limited edition prints. To order, select your prints from the Gallery below: you may click on each print to view a larger image, and "add to cart" a print(s) you wish to buy. Each 10" x 10' original limited edition Jan Cox print is on archival quality Elegance Velvet fine art rag paper, printed with archival K-3 pigmented inks using the method generally referred to as "Giclee," and has been matted and framed by us. Prints are shipped with a Certificate of Authenticity from Jan's Legacy. Cost is $150 per print (plus $15 shipping and handling, for orders in the U.S.). Continuum Cards. 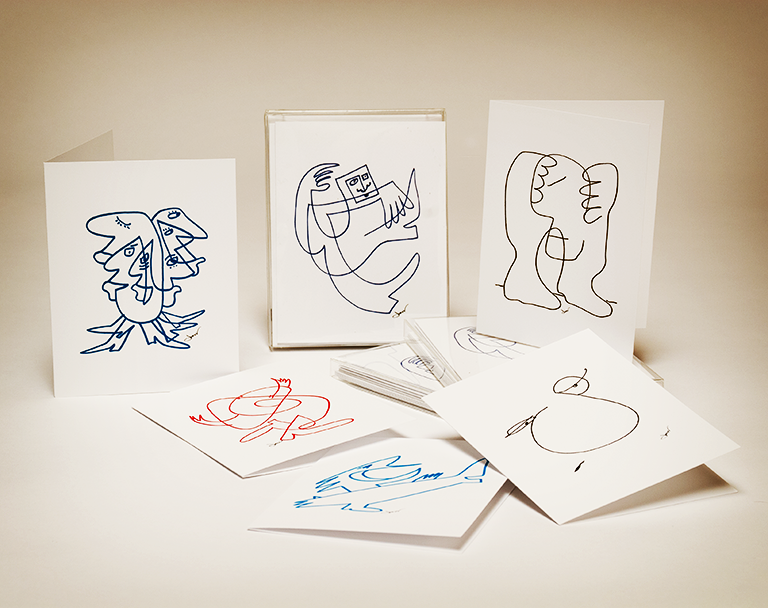 Note cards, 41/4" x 5 1/2", also on archival quality paper and printed with archival inks, are available.The current set includes drawings: 002, 011, 017, 095, 1123, 537. Cost for set of six cards with envelopes is $18 (includes shipping). Continuum Bags. 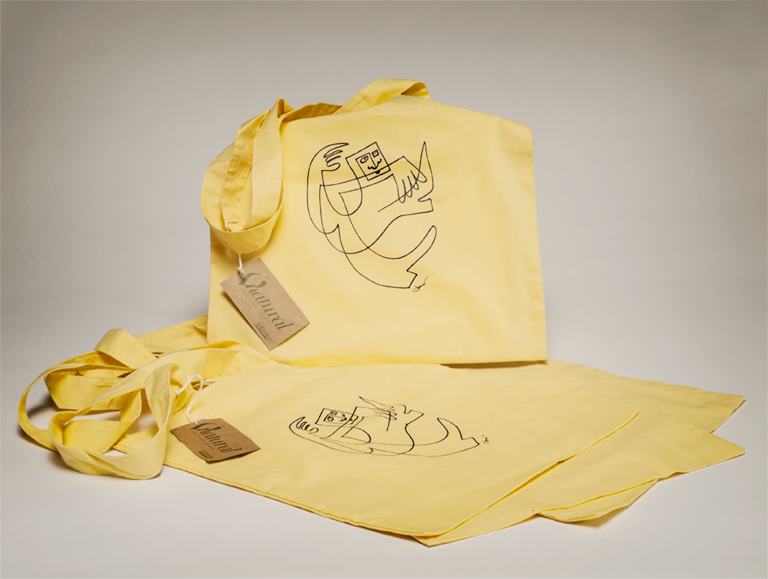 These classic bags made with 100% organic cotton can be folded flat for easy storage. They are 14" x 14" and feature 26" handles for over-the-shoulder carrying ease. a great book or Ipad bag or an alternative to grocery bags--more durable too!